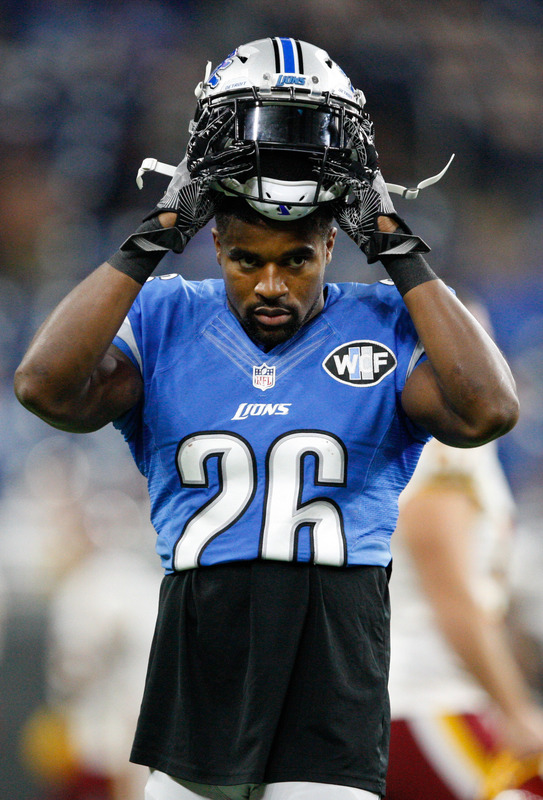 The Lions waived safety Don Carey on Friday, according to a team announcement. The move will create room for cornerback Marcus Cooper, who was claimed off waivers from the Bears on Thanksgiving. Because the Lions played on Thursday, the addition of Cooper was formally delayed until the next day. Carey was active for this week’s game against Chicago and served as a special teams gunner alongside Charles Washington. Carey had just returned to the Lions on Nov. 20, so his latest stint with the team lasted only a few days. Carey bounced around the league after being selected in the sixth round of the 2009 draft by the Brown. Later on, the Norfolk State product found a home in Detroit. After signing with the Lions in 2011, Carey proceeded to play the next seven years for the organization. The 31-year-old served as mostly a backup and special teamer during his tenure in Detroit, including a 2017 campaign where he compiled nine tackles and one forced fumble in 13 games. Cooper is expected to step into Carey’s old role, which means that he’ll serve as a cornerback behind Darius Slay, Nevin Lawson, Teez Tabor, DeShawn Shead, and Mike Ford. Don Carey is back in Detroit. Dave Birkett of the Detroit Free Press reports (via Twitter) that the veteran defensive back has signed with the Lions. The team waived defensive end Eric Lee to clear a roster spot. Carey bounced around the league after being selected in the sixth round during the 2009 draft. However, the Norfolk State product seemingly found a home in Detroit. After signing with the organization in 2011, Carey proceeded to play the next seven years for the organization. The 31-year-old served as mostly a backup and special teamer during his tenure with the Lions, including a 2017 campaign where he compiled nine tackles and one forced fumble in 13 games. Carey signed with the Jaguars way back in March, but he was placed on injured reserve during the preseason. He was subsequently released by the organization, and he only garnered a single workout (with Detroit) back in September. Carey will likely slide to the bottom of the Lions cornerback depth chart behind Darius Slay, Nevin Lawson, Teez Tabor, DeShawn Shead, and Mike Ford. Lee appeared in five games for the Lions this season, compiling a pair of tackles. He actually started five of his six games with the Patriots in 2017, finishing with 19 tackles, 3.5 sacks, two passes defended, a safety, and an interception. He also appeared in all three postseason games for New England. After seven years away, Don Carey will return to Jacksonville. The Jaguars plan to sign the free agent defensive back, according to Mark Long of the Associated Press (on Twitter). Primarily a special-teamer, Carey has spent the past seven seasons with the Lions. He hasn’t started a game since the 2014 season but has been a cornerstone member of the Lions’ special teams units. Carey’s 15 special teams tackles were fourth in the NFL during the 2015 campaign. The 30-year-old defender was a starter for the 2010 Jaguars but gradually settled into a backup role. Now in his 10th season, he’ll be expected to be a reserve player in Jacksonville’s secondary and work on its ST units. The Lions have extended safety Don Carey, Field Yates of ESPN.com tweets. It’s a one-year, $1.35MM deal that will take him through 2017. Listed as a safety and sometimes as a cornerback, Carey’s main contributions come on special teams as a gunner. Thanks in part to Carey, Sam Martin currently leads the league with a 45.4 yard net average. This year, the 29-year-old has a team-high seven special teams tackles. Overall, the Lions have made special teams a priority this year. In the offseason, they added special teams ace Johnson Bademosi and their September extension of Sam Martin made him one of the highest-paid punters in the NFL.